So, here we are, back again after our little Christmas Break - we hope you all had a wonderful Christmas. We bet you're now ready to put away all that Christmas stash, at least for a while - but there's something which must be done before the present-giving season fades into memory, and that of course, is to say Thank You properly for all those gifts we so enjoyed opening. 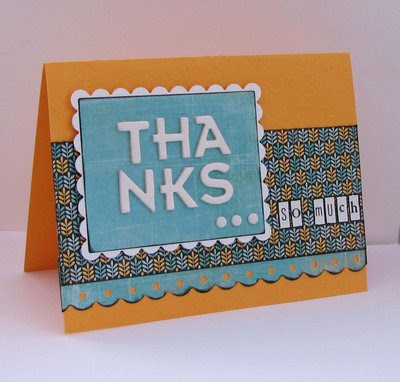 So this week's Daring Cardmakers task is to get those Thank You cards made and sent - see how we like to help you get things done (hehe)? Anything goes this week as long as that all-important Thank You" message is there. Don't forget to come back and tell us where we can see your "Thank You" cards - we love to see what you've made and it's always inspiring to see how everyone responds to the challenges. Here are some cards from the Team - and btw, we'd all like to say a great big THANK YOU to every single one of you for visiting the blog and joining in with the dares during 2008. We'd also like to wish you a very happy, healthy and craft-filled New Year! Happy New Year to the team and thanks for another year of lovely challenges. I'm ahead of you with this one - lol! - did may thank you cards and got them posted by new year's eve, but no hardship to make another for the challenge - be back later! Goregeous team cards as usual. Here is my Thank You. Happy New Year to all at DCM and thanks for another year of fabulous and inspiring challenges. This is a great challenge for all of those thank you cards that need to be sent out after Christmas. I've actually managed to do this dare! What a great challenge and I am a BIG FAN of Thank You cards ! I have a few and you can find them "here"
Happy New Year everyone and looking forward to all the new challenges. 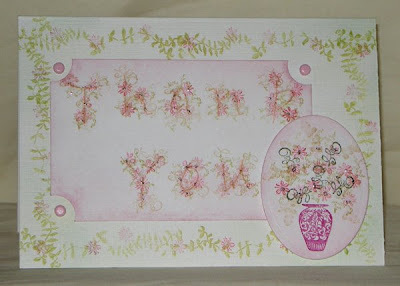 Love the challenge - much better to say thanks with a card than a text or email. I love the DT samples. Here is my thank you card. Hello from the U.S. I happened onto your blog a couple of weeks ago. I love the work of your DT. I hope to do more of your challenges in the future. Happy New Year to the team and 'thank you' for the fab examples this week (as always). 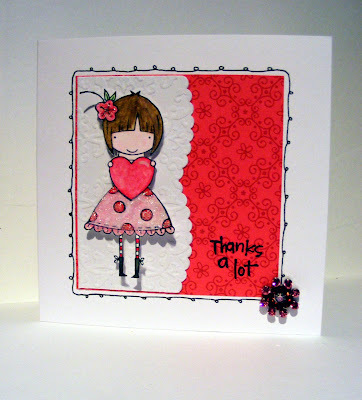 My first time on Daring Cardmakers!! 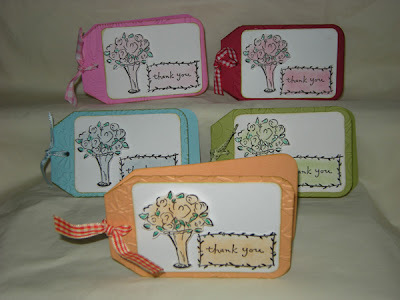 I have made a little set of thank you cards!! I do like your thinking! Here is mine! Oh it's so nice to get away from all the christmas stash... and this weeks theme is just perfect for me as I have a lot of "Thank You" cards to do. This is my first time on the challenge too, but what better way to start than with a Thank You?! 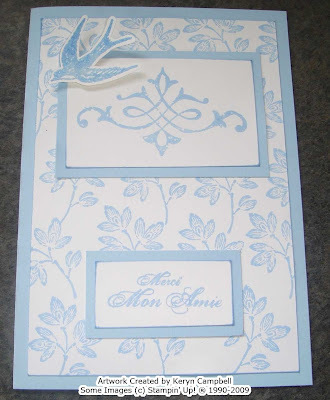 Lovely cards, everyone has been so busy. I've finally got round to making mine & you can see it HERE! What a perfect challenge for the start of a new year! 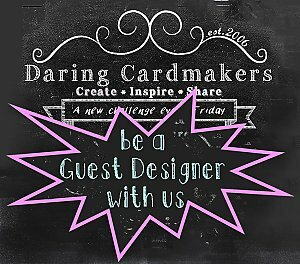 Kind regards for all Daring Cardmakers! Get someone else to make it!